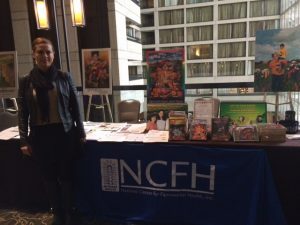 The 24th Annual Midwest Stream Farmworker Health Forum, Produced by the National Center for Farmworker Health, Inc. is an annual conference that provides quality, farmworker specific, professional development experiences for individuals in all disciplines within farmworker health. The Forum offers a diverse program featuring sessions on clinical topics, lay health outreach, research, and leadership development. Participants also have the opportunity to gain continuing education credits. So join your colleagues in San Antonio, Texas, for a great conference. Health care providers, administrators, board members, health educators, lay health professionals including Community Health Workers and Promotores(as), students, researchers, agricultural workers and co-sponsors are invited to assemble and share new ideas, learn innovative strategies, and enhance their skills in health care delivery for the migrant and seasonal agricultural worker population.